I’m really obsessed with being crafty, like painting, creating, and like just being crafty in case you weren’t aware. Like Michael’s is one of my favorite stores in the whole world, which I’ve definitely written about before, but I could spend hours in there, mostly because I can never decide on what I want to craft. My favorite section of the store though is her line of supplies, which I never buy because I can buy two or three of the cheap brand for the same price, but her stuff is just so pretty. Like her brand is just beautiful and I love it. The only thing wrong with her is that she was arrested, but if you’re going to get arrested it might as well be because you’re making money I guess. However, I would like to be her minus the jail time just because I would never last in jail. Ever. I don’t know when I became obsessed with her because if I’m being honest, I can’t say that I have ever seen any of her shows or know much about her other than she basically a professional crafter. What on earth could be better than being a professional crafter? I type as I switch back and forth between typing and crocheting. I’ve been a 50 year old woman for about 5 years now. It’s kind of been a joke with some of my friend and I about how to major in being Martha Stewart since it’s the only thing I know I want to do. I know I’m a communications major so maybe I’m on the right track to having a TV show. Jokes. I would never. No one would want to see me awkwardly sitting there improperly crafting and stuttering, also I wouldn’t want to do that either. However, I could tell someone what to do and what to craft without stuttering while they were on TV and not me. 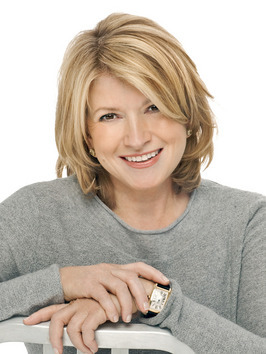 Martha Stewart is my inspiration for all crafts, if she wouldn’t encourage it I won’t do it. Well with the exception of the boat which is still a work in progress but it will be finished and revealed soon (maybe). My advice is if a wooden boat costs $5 don’t get it, it will be more trouble than it’s worth, it is however, a great bonding experience with friends so maybe get it anyway. Next Article Put Out Positivity.